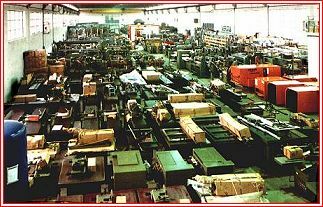 VER.MA S.P.A. of Verona from over thirty-five years is a woodworking machinery dealer. Thanks to its experience it is able to offer a total advice to all the concerns (in the wood sector) for the utilization of the best technologies linked to the solution of all the production problems. It has an engineering department which is able to plan complete line of production according to your requirements. Over the new wood working equipment of the main national and international industrial producers, VER.MA S.P.A. deals in a wide range of used wood working machinery. In our 4000 meter square warehouse you will find wood working machinery completly overhauled, ready to be used in the production cycle of your concern. A specialized and equiped workshop for a total review of machinery and a skilled team for assembling and installation of all the plants, also by your offices, are at your disposal for the solution of every kind of problems.